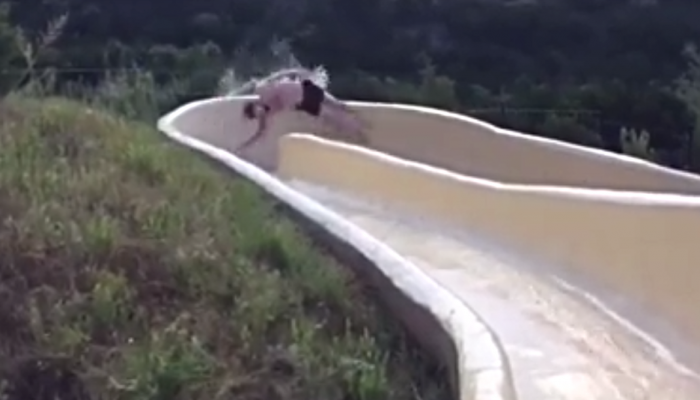 A fun day at a water park turns serious after a man falls off a slide and down a cliff. While on a water slide in Texas, David Salmon had too much speed going into a turn and he went right over the slide’s edge. Luckily his personal injuries suffered were not life threatening and made it out with a broken arm, fractured ribs and multiple lacerations on his side, back and arms. To read more on this story please visit the Mashable website.